One of my favorite parts of the day is my lunch break. Why? Because often to just get out of the office I head over to Walgreens & CVS for a quick walk around. 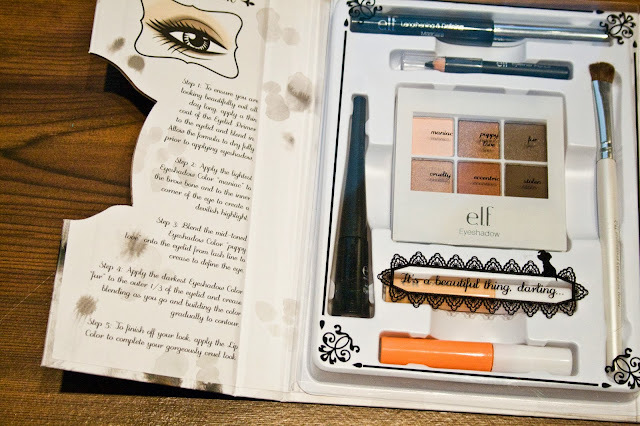 I love this because I can keep an eye out for all things new at the drugstore. (I also get to scope out the sales all the time.) 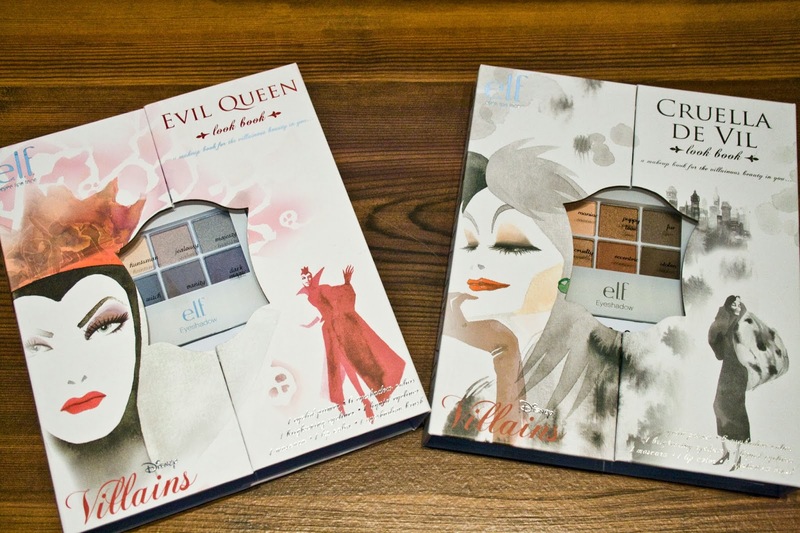 I've been dying to get into all the Limited Edition things brands come out with & one thing I was super excited about were the Venomous Villains palettes to be released by elf! I saw the ones from last year on a blog somewhere then one day on instagram I saw something about them being back! These are different from last year & in fact a whole bunch of different brands have jumped on the band wagon - there are lashes, make up bags, & hair ties in addition to these palettes. 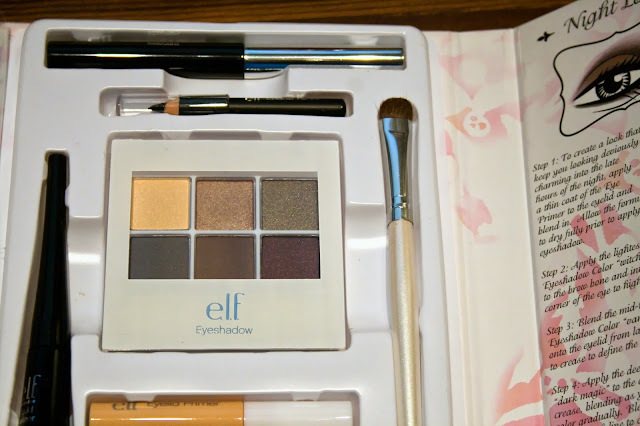 Elf even has a 12 pack of nail polish to go with the palettes as well! Today I want to share with you the two palettes I have: the Evil Queen & Cruella De Vil. I was drawn to these two palettes because of the seemingly neutral nature of both. Even though I love bright colored eyeshadow I never wear it. So I thought these would be a better choice for me. Who doesn't need a zillion neutral eyeshadows, right? Each palette also features a saying across the acetate protective sleeve. 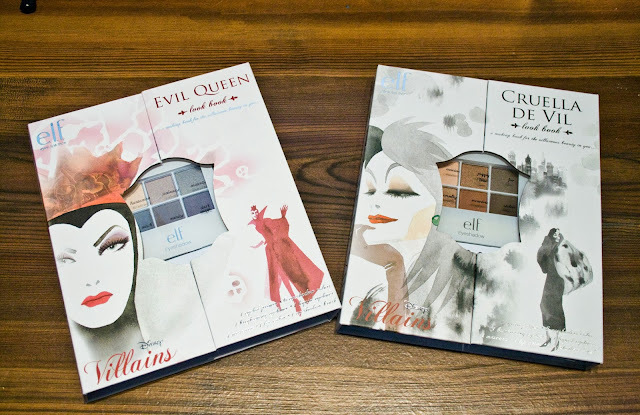 The Evil Queen palette says mirror, mirror on the wall and the Cruella De Vil palette says It's a beautiful thing, darling. 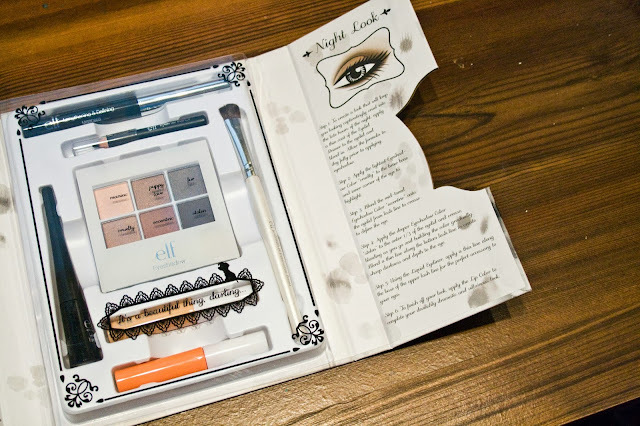 Then on both the left & right flaps are instructions for a night & a day look. I think the best thing about the palette is that everything is removable. I tend to stay away from palettes that include things like liners & glosses because I'll take the accessories out but the eyeshadows are stuck in there. It just look so unappealing to use that way. Not to mention it's bulky to travel with. So, for me, the fact that everything is removable is pretty awesome. There are also eyeshadow shade names unlike other elf palettes. The downside is the names are only in the bulky packaging. If you remove the eyeshadow palette from the box you loose the names of the shadows. But on the back of the shadow palette is the name of the collection it came from! So if you stick it back in the box you'll know which is which. 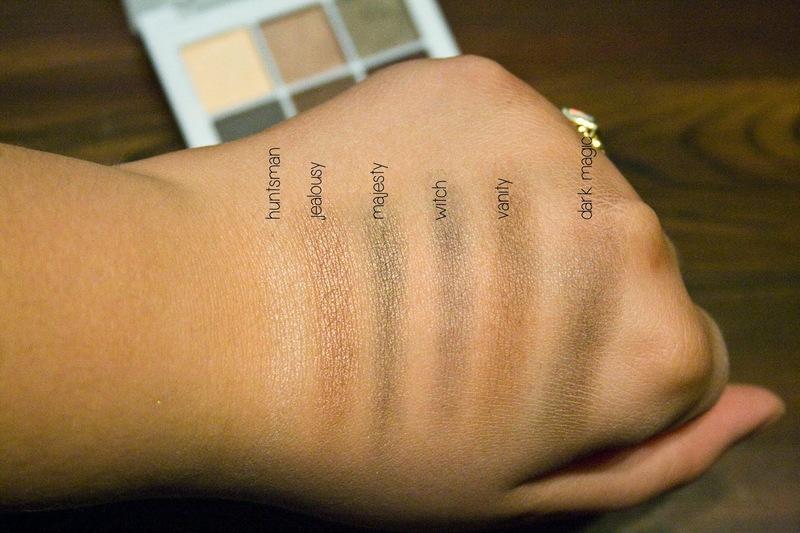 As for swatches, these shadows are pretty nice. 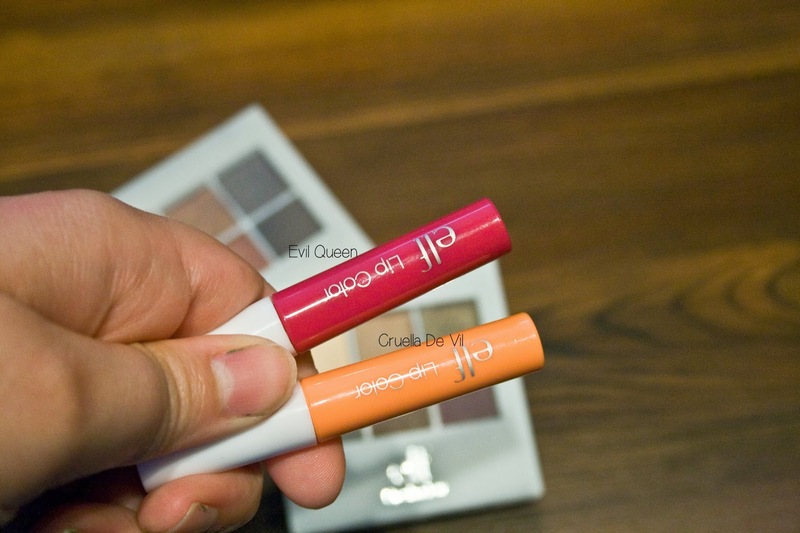 I think there are a few duplicates but for six shades that go together its' really awesome. 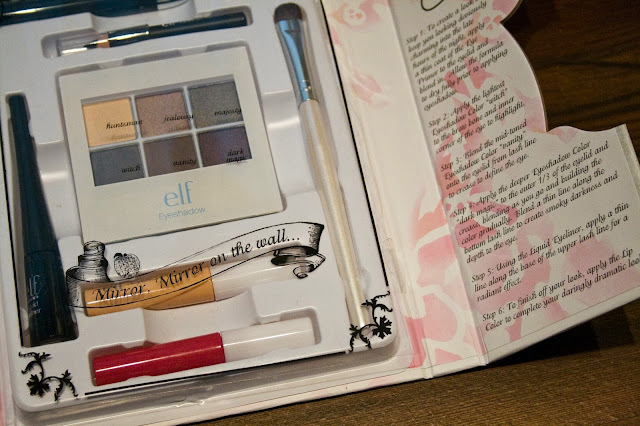 I was drawn to the Cruella palette first - even though she still scares the bejesus out of me - because it was all neutral. In this palette Cruelty & Eccentric seem to be almost the same shade - I'm not sure if the difference is big enough to really count! The dark matte brown, Stolen, isn't as pigmented as I'd have liked either, but it's not a badly pigmented shade. They all seem to be good colors and each has it's place in a look. 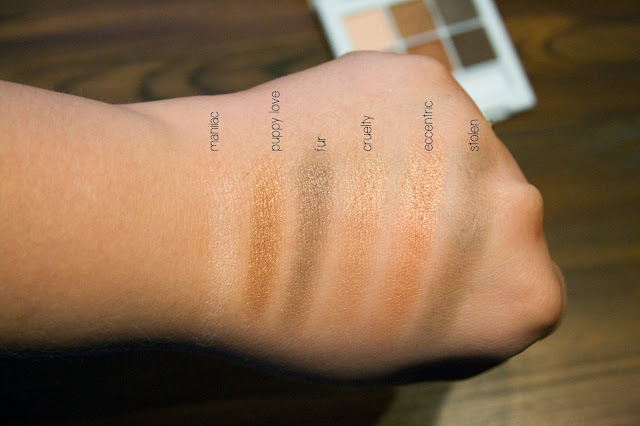 There seem to be four shimmery shades - Puppy Love, Fur, Cruelty & Eccentric - one highlight, semi matte shade - Maniac - and one matte shade - Stolen. I also picked up the Evil Queen palette because it seemed to also have a great array of neutral shades. This palette though has two shimmer shades - Jealousy, & Majesty - a matte with glitter shade - Dark Magic - two matte shades - Witch & Vanity - and one highlight, semi-matte shade - Huntsman. Between the two I have, Huntsman & Maniac seem to be about the same. In this specific palette there didn't seem to be an overlap in shades at all. The most interesting shade in this palette is Dark Magic. It's a deep, pretty much black purple (though it's coming off like a brown in the palette image) with purple flecks of glitter that seem to shake off to make the shade matte when you're done applying it. The other shades just seem to be shimmery but this one definitely has distinct glitter pieces. As for lip colors, these really aren't anything to be excited about. While they are ok, they aren't the best. They are pretty sticky, don't seem to be too hydrating, & seem to be there just for novelty. 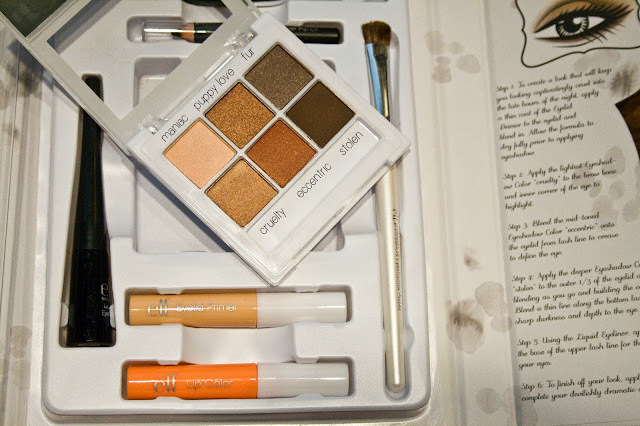 The orange-y shade in the Cruella palette seems impractical..the color just isn't appealing to me. The applicator is a small doe foot, too small for me personally. 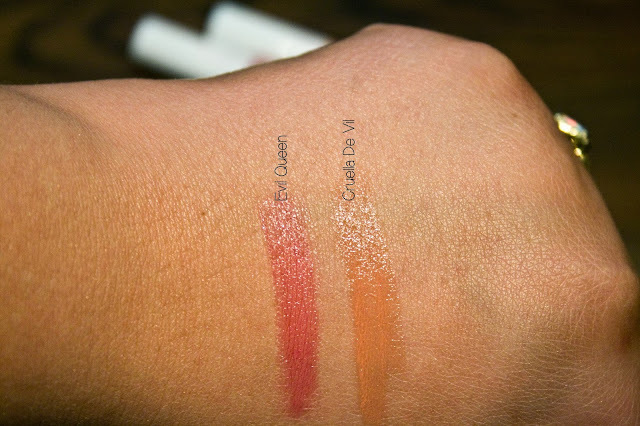 I've swatched them above, but they're nothing to write home about. of course the palette could be $3 & that extra buck goes for the cool packaging! As for price, I don't think you're getting cheated on anything. The products seem to fall in line with the prices from the website & the quality you'd expect from the price. Pretty much what I'm saying is that you're not paying for packaging, you're paying for product! I think these palettes are fun, a great price, & have great colors for everyday use but really are perfect for Fall! 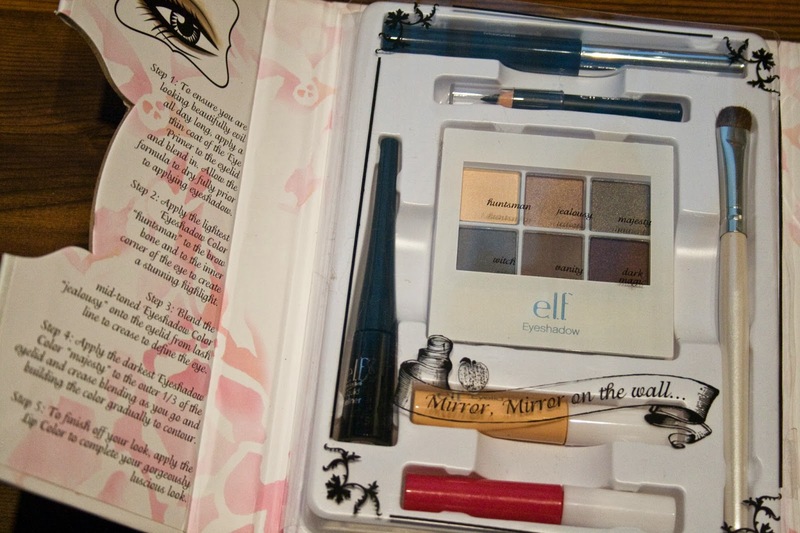 I also think the products are good enough to pick up just because the packaging is fun & nice. 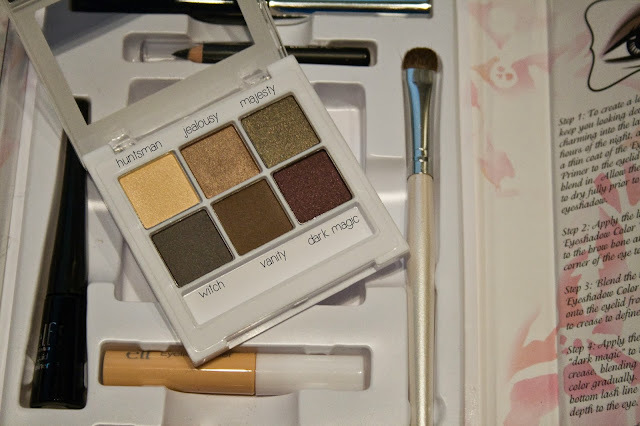 You can find these palettes in store at Walgreens only. Don't be afraid to pick up the other brands who've partnered for this line! 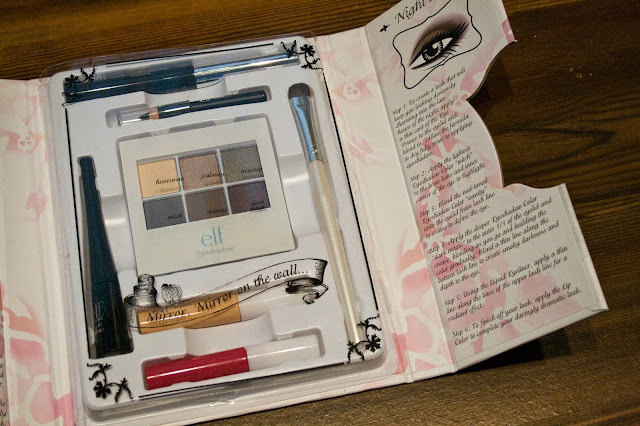 Do you pick up limited edition things like these palettes? Do you have the ones from last year? I want to find these! I've been seeing photos of them popping up everywhere. Check around the beauty counter at Walgreens. I thought they were all gone today but they'd actually moved the display! Keep looking, I hope you find them!